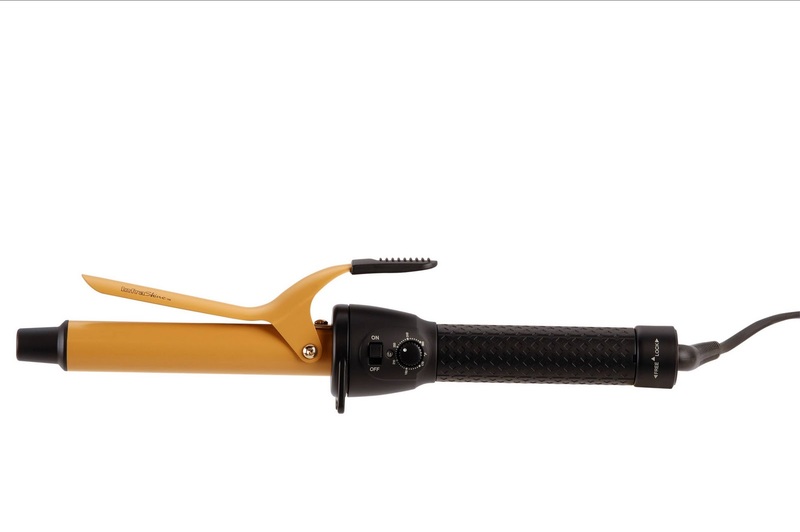 This curling iron has ceramic technology! Until I did this InfraShine review of their 1″ Spring Curling Iron, I had no idea what the difference was between a ceramic and conventional curling iron. However, I can assure you there is a night and day distinction between the two, which I am pleased to tell you about. What is so amazing about this product is that InfraShine uses real ceramic infused barrels that are power coated to work. In simple terms, this technology holds the hair’s moisture and creates negative ions from within the hair shaft to smooth the cuticles and any frizzy problem from thick curls, waves, or bends for better control. This curling iron can heat up in seconds with heat that comes out evenly, six temperatures to be precise from 170-360 degrees Fahrenheit with an ion generator light that pulsates when the desired temperature is reached. To style hair easier, the InfraShine Spring Curling Iron has an extra long 9-foot UL approved swivel cord to allow ease of use and prevents tangling. The sturdy built-in stand makes the iron stable while the textured handle is designed perfectly for gripping. My hair is thick and with some slight curl to it. I do have an expensive professional curling iron, which I had thought was great. Ha! Then, I used the InfraShine Spring Curling Iron and loved how it curled and seemed to keep those curls in place almost like I applied hair spray. Furthermore, my hair looked glossier and felt softer than normal as well. Sincerely, I didn’t need to apply any hair spray because I kept that flexible hold throughout the day. I always had to use hair spray when finishing with my curling iron if I intended my style to last. I must try their blow dryer soon to see what other hair wonders this could help me achieve. In fact, I would love to volunteer my head, InfraShine, to test all of your excellent products out! If you’re looking for a fantastic holiday gift for someone, you need to get an InfraShine Spring Curling Iron for that person and an extra one for yourself because it is fabulous! InfraShine Spring Curling Irons come in ¾-inch, 1-inch and 1 ¼-inch barrel sizes (diameters) to suit every styling need. Next Post Do You Want an Easy Way to Polish Chrome? I like the Pro Blow Dryer. I would really enjoy the Pro Blow Dryer. I've never used a professional blow dryer myself, but I know my hair comes out much nicer when I'm at the salon and they use one with a nozzle. I'd love to try their Red Line Pro Blow Dryer!